Where a case involves the eye witness testimonies of close relatives of the victim, the Court should be cautious to ensure that the eye witness testimony is corroborated in material particulars. This caution arises from the fact that such injured eye witnesses, who are close relatives, may not be objective and further that on account of the past rivalry with the accused, they may be inclined to falsely implicate the accused. The law in regard to the eye witness testimonies of the related witnesses has been explained by the Supreme Court in several decisions. Thus, the evidence cannot be disbelieved merely on the ground that the witnesses are related to each other or to the deceased. In case the evidence has a ring of truth to it, is cogent, credible and trustworthy, it can, and certainly should, be relied upon. "It is well settled that the evidence of interested or inimical witnesses is to be scrutinised with care but cannot be rejected merely on the ground of being a partisan evidence. If on a perusal of the evidence the Court is satisfied that the evidence is creditworthy there is no bar in the Court relying on the said evidence." "It is well settled that interested evidence is not necessarily unreliable evidence. Even partisanship by itself is not a valid ground for discrediting or rejecting sworn testimony. 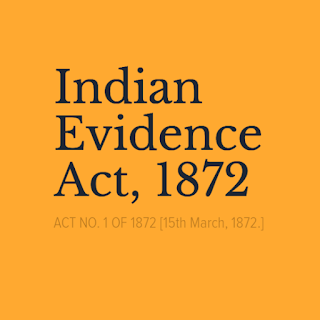 Nor can it be laid down as an invariable rule that interested evidence can never form the basis of conviction unless corroborated to a material extent in material particulars by independent evidence. All that is necessary is that the evidence of interested witnesses should be subjected to careful scrutiny and accepted with caution. If on such scrutiny, the interested testimony is found to be intrinsically reliable or inherently probable, it may, by itself, be sufficient, in the circumstances of the particular case, to base a conviction thereon." "The requirement of law is that the testimony of inimical witnesses has to be considered with caution. If otherwise the witnesses are true and reliable their testimony cannot be thrown out on the threshold by branding them as inimical witnesses. By now, it is well-settled principle of law that enmity is a double- edged sword. It can be a ground for false implication. It also can be a ground for assault. Therefore, a duty is cast upon the court to examine the testimony of inimical witnesses with due caution and diligence."